Haiti has long been one of the poorest countries in the Western Hemisphere, with 78% of the population living on less than $2 a day and 54% living on less than $1 a day. Half of Haiti’s children are undersized as a result of malnutrition and AIDS alone has orphaned more than 200,000 children. According to UNICEF, the number of orphans prior to the January 10, 2010 earthquake was 380,000. NPH has been in Haiti for more than 25 years, addressing the social needs of the poorest of the poor, raising children in a loving environment and creating future leaders. Kay St. Germaine and Elaine Rehabilitation Outpatient Centers providing therapy and educating children and adults with neurological disabilities. Father Wasson Angels of Light in Tabarre, a home and school for vulnerable and displaced children. Don Bosco, higher education program in Tabarre for 240 youths that graduated from St. Helene. Thankfully, when the earthquake of January 12, 2010 hit, St. Helene’s high elevation and distance from the epicenter saved it and all the children from significant damage or injuries. Down in Petionville, the earthquake took a far greater toll. 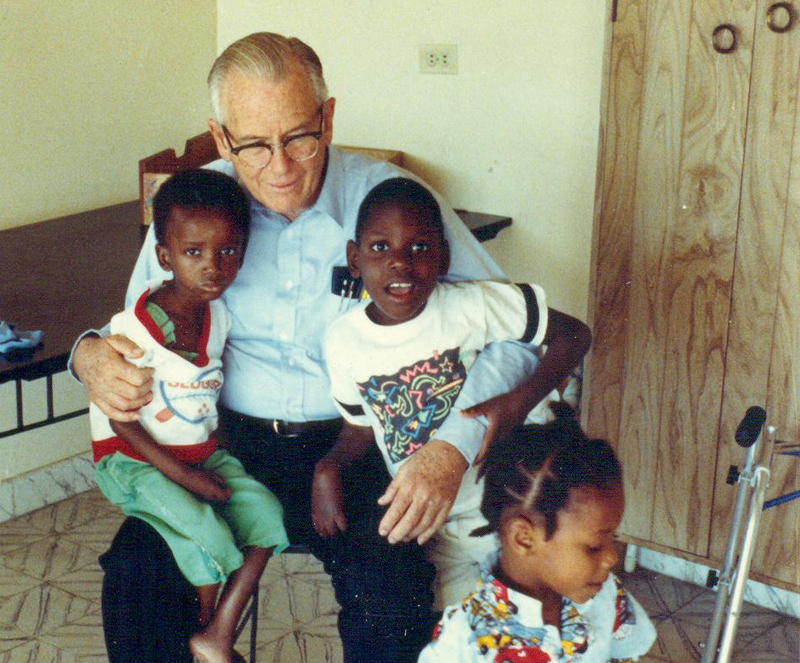 The Father Wasson Center, which served as the administrative hub for NPH in Haiti, and also housed volunteers, a school and physical therapy for children with disabilities, collapsed, trapping several volunteers inside. Two young Americans lost their lives – Ryan Kloos, who was visiting his sister Erin, a longtime NPH volunteer; and Molly Hightower, a 22-year old from Washington State who was spending a year working with special needs children. NPH Haiti is led by Fr. Rick Frechette, along with over 850 dedicated staff.